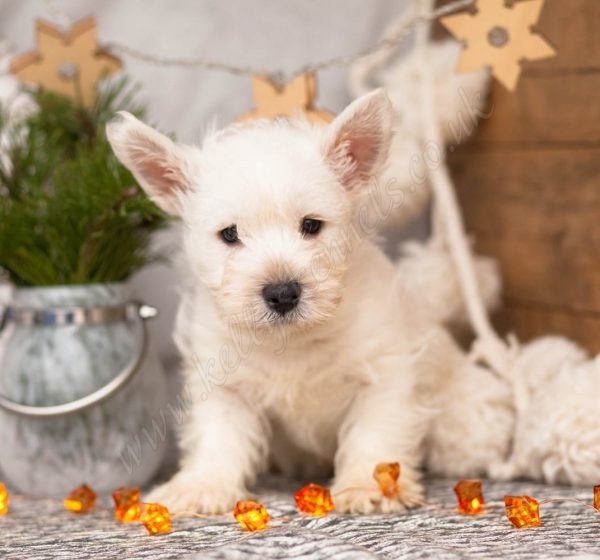 Westie babies just ready for special homes and new families. 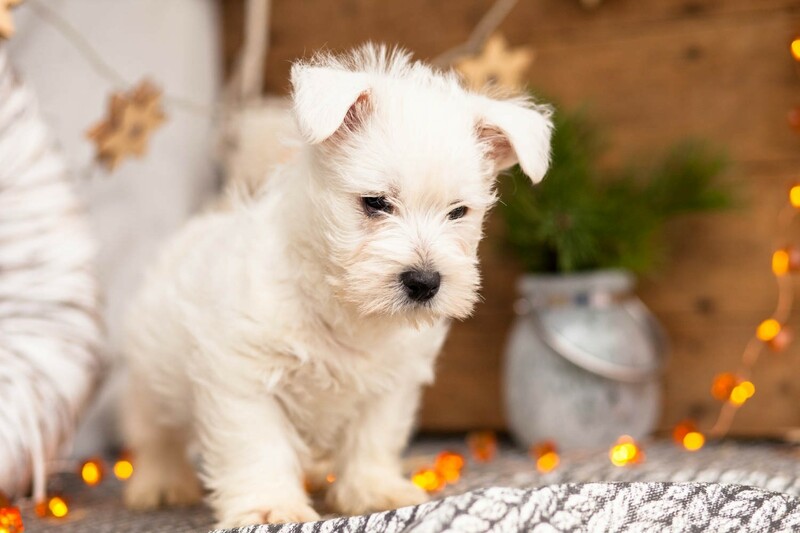 Totally gorgeous and full of character, Westie puppies are among the most popular pups for sale in our kennel. 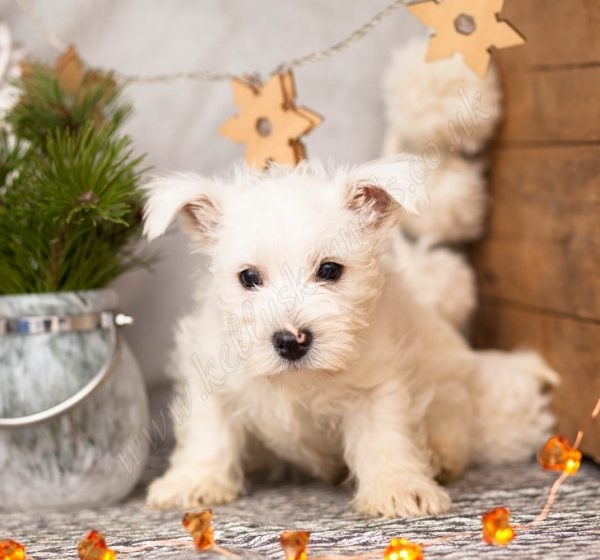 The puppies’ mother is here pop along and meet the Family. 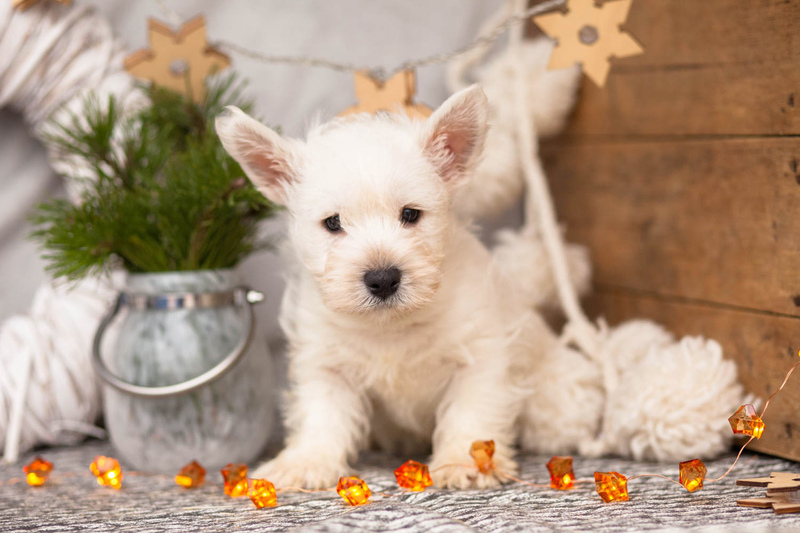 We have prepared our Westie puppies for moving to their new locations: the pups are vet checked, microchipped, vaccinated, flead & wormed. 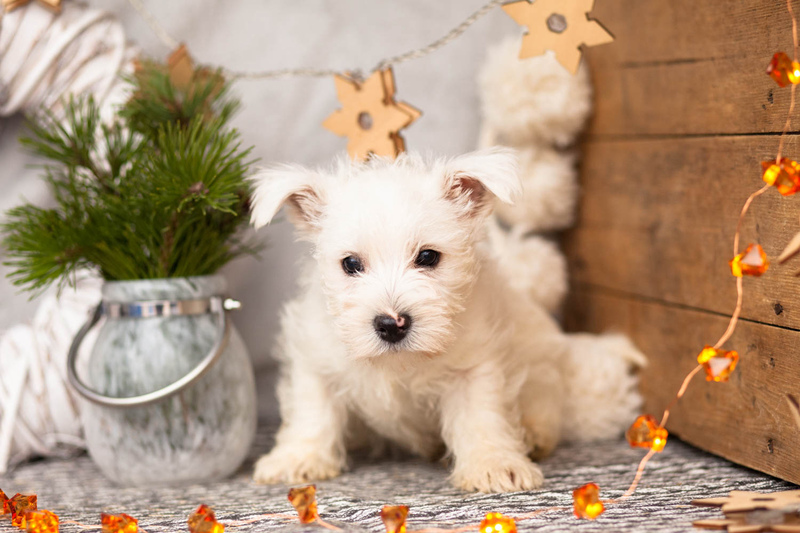 4 weeks free pet insurance is given as standard and a full after care service is available to make your new addition fit into your life comfortably. 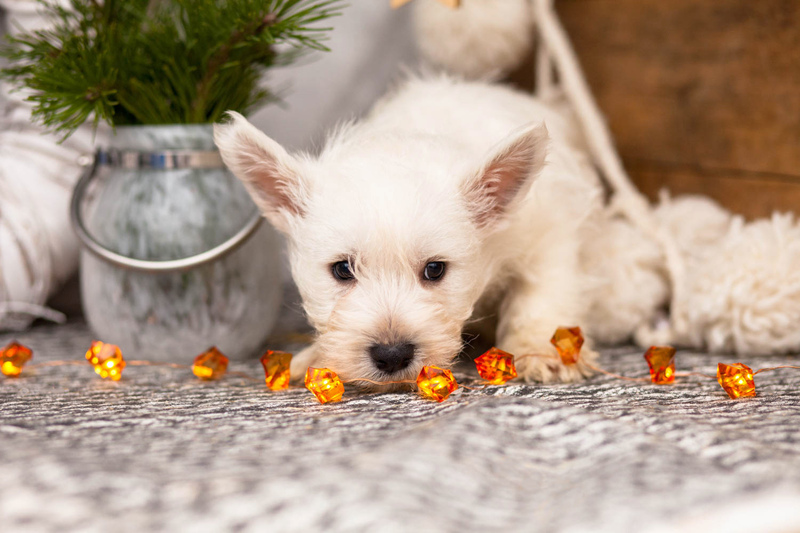 All our dogs eat Royal Canine food and a free bag is provided with each Westie pup you buy. 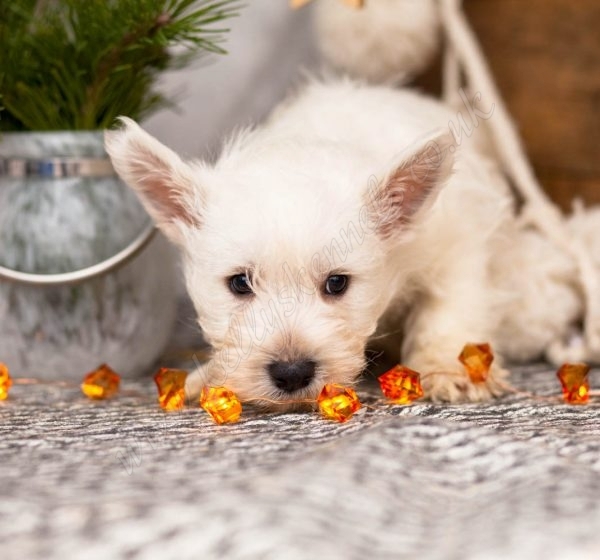 Kellys Kennels are working with Willows Veterinary Group and their 17 surgeries scattered around the UK. 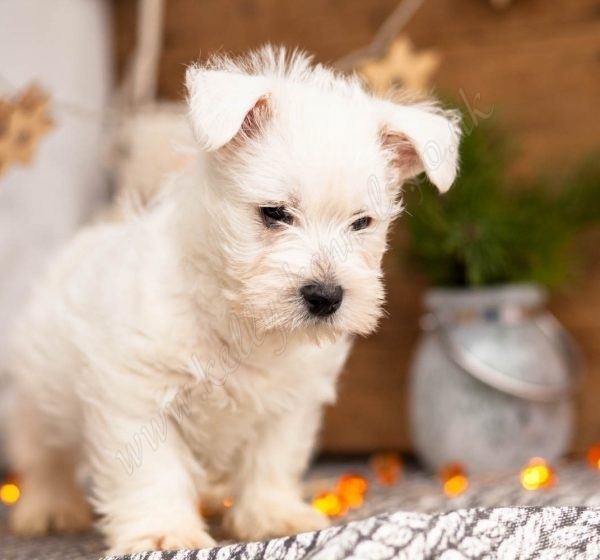 Westie puppies for sale come with a unique discount voucher which you can use at a Willows practice to get a special discount on your Westie puppy’s 12 week vaccination. 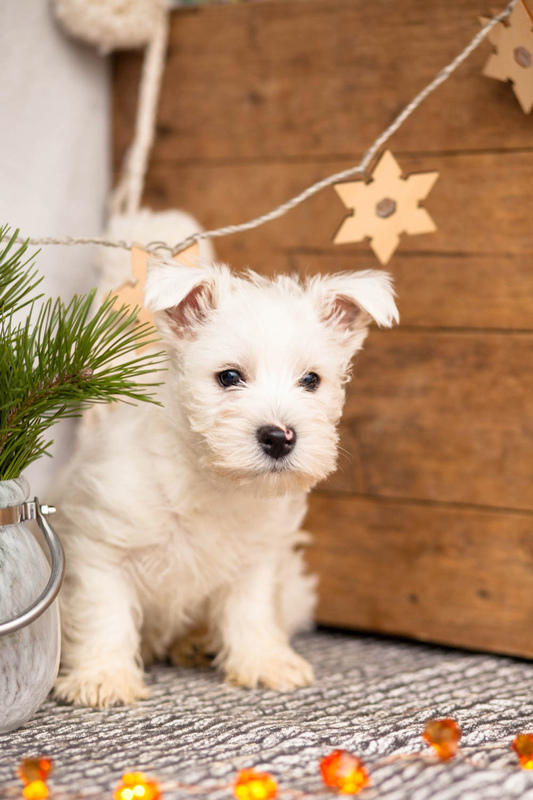 The Westie breed originates from Scotland, where he was initially developed for hunting, and that makes a Westie always has his own opinion! The breed definitely has a fantastic nature as if he knows for sure he is the most amazing soul around. 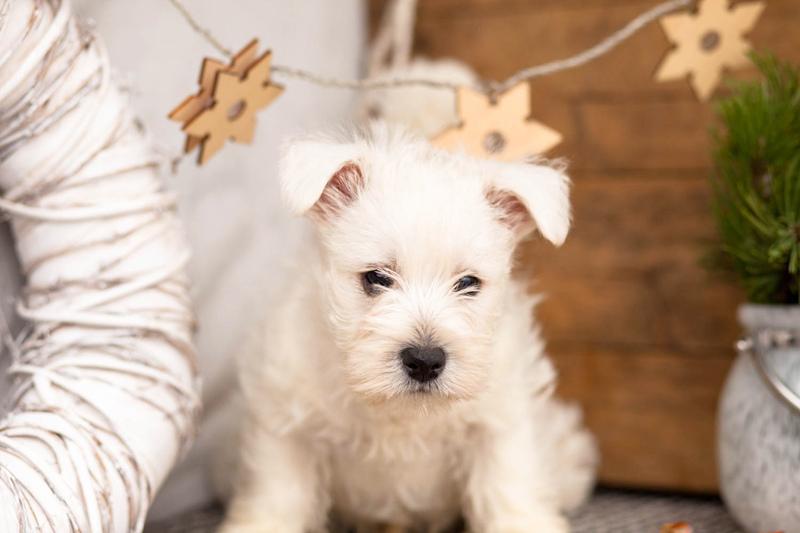 Always in for a good time, a Westie is a perfect match for families with members of all ages. 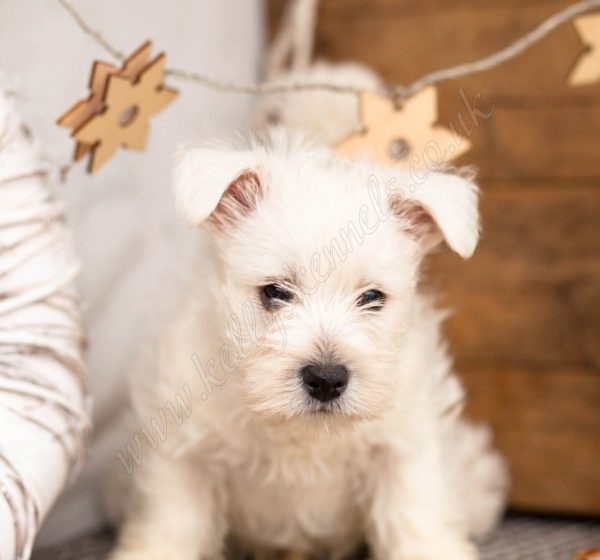 West Highland White Terrier will enjoy both the countryside lifestyle and living in the city. 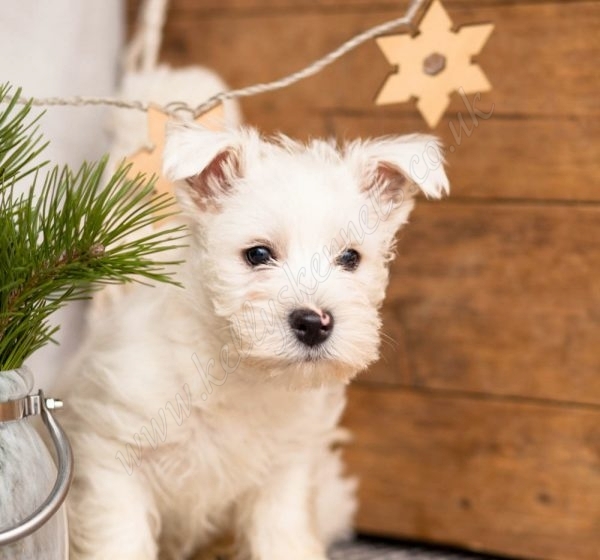 Alternative names of the breed are: Poltalloch Terrier or Roseneath Terrier.